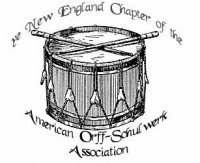 Are you interested in learning more about the history, significance, and process of the Orff-Schulwerk approach? Check out the following books, and if you have read anything recently that you think should be added to the list, please let us know! Artful-Playful-Mindful Jane Frazee, Schott: Frazee's latest book prompts readers to create a music curriculum that encourages students to develop musicality, creativity, and critical thinking skills. Discovering Orff Jane Frazee, Schott: Organized by a sample grade level curriculum, this book gives an example of how the Orff-Schulwerk approach can have sequence and structure that builds through the elementary years. Elementaria Gunild Keetman, Schott: Translated into English by Margaret Murray in 1974, Elementaria gives explanations of how to create and use rhythmic-melodic exercises and elementary movement training. Elemental Dance - Elemental Music: The Munich Günther School 1924-1944, ed. Michael Kugler, Schott: This book outlines the fascinating history of the Güntherschule during the Weimar Republic and the Third Reich. It contains articles by Barbara Haselbach, Hermann Regner, Minna Ronnefeld, Dorothee Günther, Carl Orff, and others, as well as photographs and concert programs. ﻿Gunild Keetman: A Life Given to Music and Movement ed. Hermann Regner and Minna Ronnefeld, Schott: This dual-language (German and English) book is a collection of commemorative writings about Gunild Keetman written by her students, colleagues, and friends. Introduction to Music for Children Wilhelm Keller, European American Music Distribution Corporation: A short, yet brilliant, gem, this book explains the instrumentarium, playing techniques, and basic principals of the Schulwerk. Orff Schulwerk Today Jane Frazee, Schott: This book has chapters on the Orff-Schulwerk media of speaking, singing, moving, and playing instruments, as well as chapters on elements of music, such as melody, rhythm, texture, and structure. Many rhymes, songs, and instrumental pieces are used as examples, and the author includes many ideas for lessons and professional growth. Orff Re-Echoes, Book I and II Selections from the Orff Echo publication of AOSA. Available for purchase through the AOSA website. Pieces and Processes Steve Calantropio, Schott: The author, a master process teacher, shares a "Process Teaching Tool Box", or multiple ways to teach elemental melody, rhythm, and harmony in a logical and artistic manner. Twelve performance pieces serve as examples of music which can be taught using the tool box processes. Play, Sing, and Dance Doug Goodkin, Schott: If you are new to Orff-Schulwerk, this would be a fantastic first book to read. It includes pertinent historical information as well as a clear overview of the creative process involved in the Schulwerk. Other books by Doug Goodkin, though not specifically about Orff-Schulwerk history, are valuable resources as well. The Schulwerk Carl Orff, Schott, distributed by Hal Leonard: This is Volume 3 of Orff's eight volume autobiography. Orff documents the development in his career from the founding of the Güntherschule through the opening of the Orff Institut. The book includes scores of early pieces and photographs in addition to a detailed history of how the Schulwerk evolved.